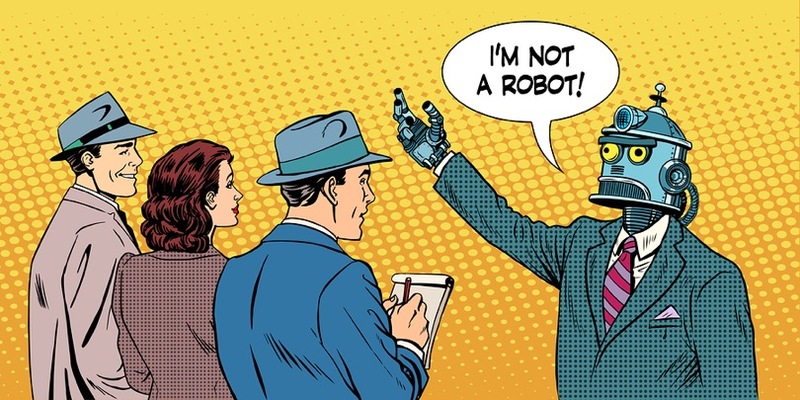 The artificial intelligence era… It’s all about embedding human smarts in machines. Facebook chatbots are one application of this revolution, as they rapidly gain popularity and provide a new tool for marketers to leverage. These chatbots are the incorporation of automatic chatbots within Facebook Messenger. Chatbots offer flexibility in order to automate tasks, and assist in retrieving data. They are becoming a vital way to enhance the consumer experience for the purpose of better customer service and growing interaction. In April 2016, Mark Zuckerberg announced that third parties could use the messenger platform to create their own personal chatbot. Since then, the popularity of chatbots has rapidly grown all over the world. In social media marketing chatbots have evolved, but their prime functionality remains the same, and that is to improve real-time engagement. Customers are always searching for prompt and ready replies to their comments and queries. The chatbots are designed in such a manner that they are able to answer most of the queries placed by customers, without human intervention. And this helps in bonding a strong relationship with your customers and potential crowds, without paying for high overheads on staff. Two chatbots that have gained immense popularity in no-time are Apple’s Siri and Chotu Bot. Chatbots: Why such a buzz at present? Modern advancement in the field of artificial intelligence, which includes neural networking and deep learning, have permitted chatbots to acquire data sets exactly the way the human brain works. This is revolutionary. Chatbots are instigating a stir in the present world of consumer services. Facebook created a revolution for technology by launching Facebook messenger chatbots which permit businesses to generate an interactive experience, content, e-commerce guides and automate customer service. Messenger has reached more than 900 million users, plus it offers the most striking platform to implement your desired bots. Maybe the most renowned example of a chatbot is Apple’s Siri. 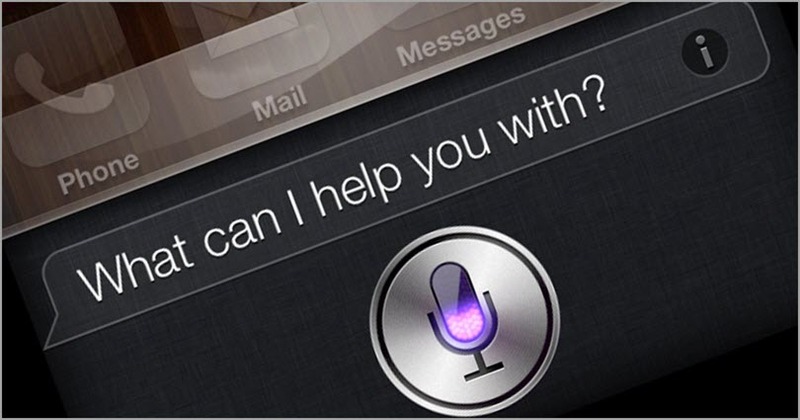 Like all chatbots, Siri is a perfect combination of pre-defined scripts and neural systems to anticipate a precise reaction to an offered conversation starter or explanation, permitting clients to skip steps while speaking. Siri is a masterpiece that took years for such a huge organization with loads of assets to develop. The second example is a chatbot from an organization that is not as famous as Apple. But still the chatbot is so efficient that it has been able to create a lot of buzz for itself in the market. The Chotu Bot helps you replace various software and get detailed information on various topics such as wiki search, PNR status, Vehicle registration number etc. inside your messenger. And the developers behind the Chotu Bot are preparing to update it so that it can reply to most of the queries asked from all around the planet. How can a Facebook chatbot assist your marketing? Facebook allows brands to connect their potential customers independently through these messenger bots which leads to a new era in advertising. The basic idea behind launching the messenger bots is to connect all the people directly to the business in order to automate customer engagement and interactions. Now there are more than 11,500 bots that have been developed on messenger and nearly 23,500 developers signed up in order to build their own bots using tools offered by Facebook. This means it assists you to automate informal interactions between businesses and users. Recently Facebook announced new features for bots which can easily respond with video, audio, GIFs, and such files that make you build your own bots with ease. 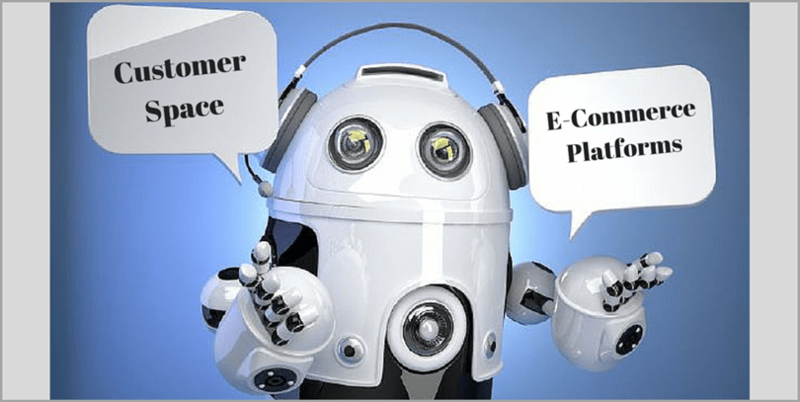 How do chatbots help e-commerce platforms? Chatbots assist the e-commerce industry by providing functionality in areas such as security, management, monitoring, and customer engagement which are key elements of e-commerce businesses. Self-service and automation are the ideal way to go ahead in e-commerce, this the ultimate reason why businesses are using chatbots. Facebook messenger for chatbots is focused on generating the greatest customer engagement experience. They offer automated updates about traffic, weather, automated messages and much more. Bots help you save time and reduce the cost of hiring staff. The new receive/send API allows you to connect with more than 950 million people in and around the world. That’s the reason bots are growing as the key tool for businesses to gain wonderful networking and commercial opportunities. How can you use chatbots? Chatbots make it possible to offer a more proactive, personal, and efficient consumer experience. 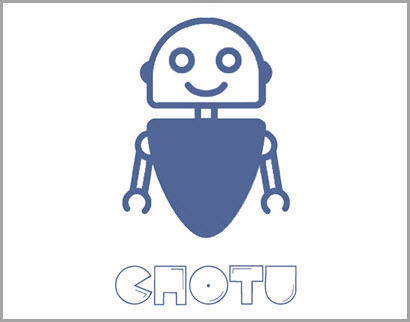 Chotu, one of the leading chatbot technologies, is an AI robot on Facebook messenger that assists in accelerating customer information acquisition through Facebook messages. It provides all the needed information from your messages itself, rather than relying on several different apps working together. Chotu performs multiple tasks at a single time and offers 24×7 customer service. 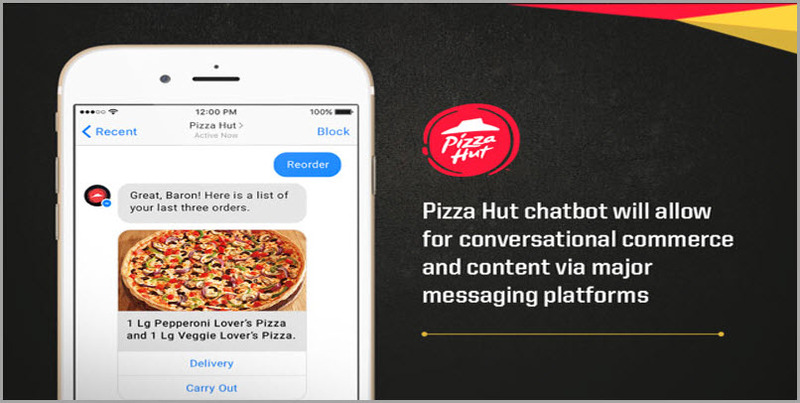 Pizza Hut announced that Facebook messenger chatbots assist their customers in asking questions, viewing their current deals and much more. This helps Pizza Hut interact with their customers more easily at any time and from any place. 36LoveQuestions is a wonderful Facebook messenger chatbot that asks you 36 exact questions in order to determine whether you are in love with someone or not. At present, chatbots are very prevalent in the customer space. From a business point of view, transportation businesses and e-commerce delivery enhance their chances by allowing their customer to purchase products more efficiently. But bots are rapidly moving across to the enterprise space as most companies are now building their own chatbots in order to generate better engagement with their customers and create additional value for their brand. One of the major problems that various organizations had to face while promoting on social media was to provide a primary customer service to their potential clients. The best thing about [messaging bot] is that you can have a ‘Message Us’ option and truly use this as a one-on-one, private channel. Messaging is a continuous and real-time process between a customer and a brand. You can have a real-time chat with a specialist from the brand, then you can leave and return a day later and see the history… That is truly energizing since that begins to effect customer behavior. Facebook commenced this entire chatbot furor in April by permitting outside bots on its messenger. So even in the worst case, this is the potential crowd you can reach. Include different systems (WhatsApp has not joined the chatbot fleeting trend yet) and the aggregate gathering of people on messaging platforms is well in an abundance of 1.2 billion. This is the crowd that you can target directly and provide each one special attention. Who does not like a personal exclusive service? Chatbots are poised to reform the customer-brand interaction. Facebook knows the potential of personal messaging and they know this idea can be really useful for brands to retain their audiences for a longer period of time. Any organization today with a chatbot has the capacity to gain customer insights. The more insights they gain, the better the brand messaging will become, which ultimately indicates better targeting and more sales. The best part is that these chatbots are relatively cheap compared to other applications. A business which takes time to understand chatbots and execute them have a better chance of offering things to their customer and this will really help them build a nice strong relationship over time. Chatbots are the perfect fit for the modern e-commerce company looking to ramp up customer service. Companies which are using chatbots are likely to experience better results and acquire the ability to advertise and market new products which ultimately generate customer engagement. Dieser Eintrag wurde veröffentlicht in Artificial Intelligence und getaggt mit AI, Facebook am 15. September 2016 von innovation.